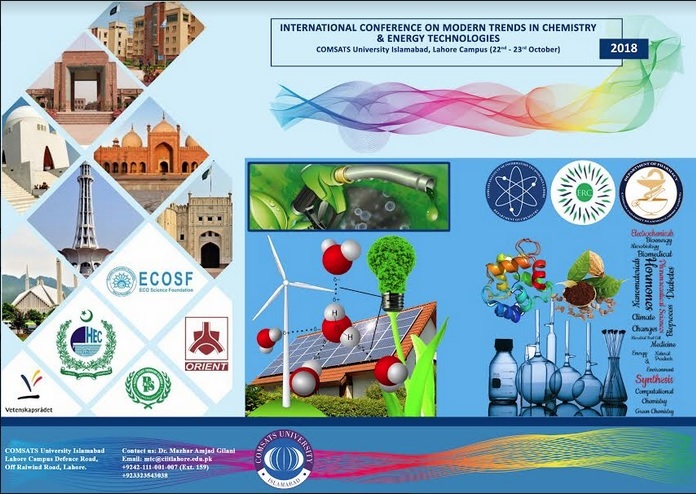 Departments of Chemistry, Pharmacy and Energy Research Center, COMSATS University Islamabad, Lahore Campus-Pakistan are organizing International conference on “Modern Trends in Chemistry and Energy Technologies” on 22-23 October 2018. 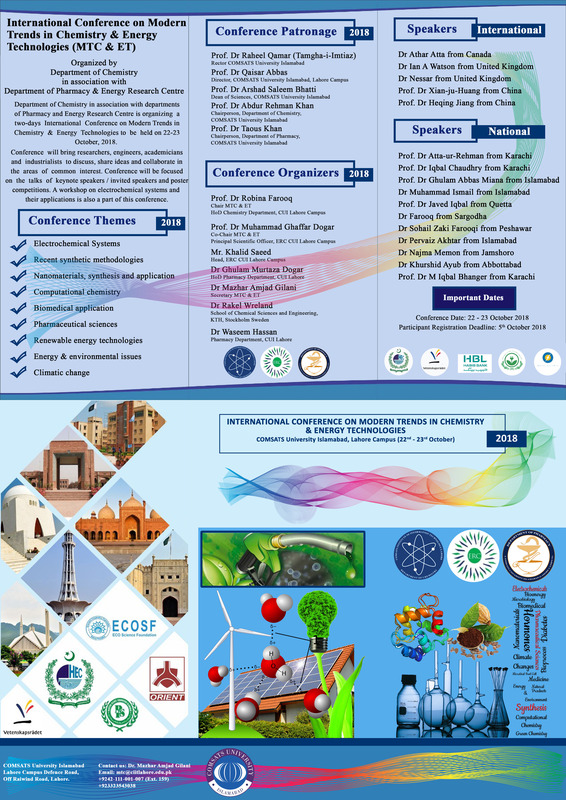 The conference aims at apprising the academic, scientific and related industrial communities about the Modern Trends in Chemistry and Energy (Renewable Energy & Environment) and provides a platform for sharing ideas and developing partnerships for future projects. The purpose of this conference is to bring researchers, engineers, academicians as well as industrial professionals together from all over the world. This will provide the state of the art solution in emerging areas of chemistry including microbial fuel cell, electrochemistry, computational chemistry, synthetic and pharmaceutical chemistry and their applications in industry, waste remediation, energy, food and health. The organizers/participants of the conference would be able to provide the best solution based on the need of the 21st century after having free and frank deliberations on issues related to industries, industrial waste, energy, food and health.